With Audi's launch of an A3 powered by a brand new fuel, it's time for us to look back and talk a bit about the first series production car using ethanol. As usual, it's a Fiat from South America. Fiat has done everything in the past in order to be able to sell as many of their products abroad as physically possible. This friendly attitude knew no religious or political boundaries and the Italians went as far as completely redesigning their Car of the Year winning Fiat 124 for the Soviets. The Fiat 127 was their second front-wheel drive car based on the transverse engine platform developed by Autobianchi after the 128, and it became an instant record seller making it also to Spain, Poland, Yugoslavia (as the Yugo) and Brasil. 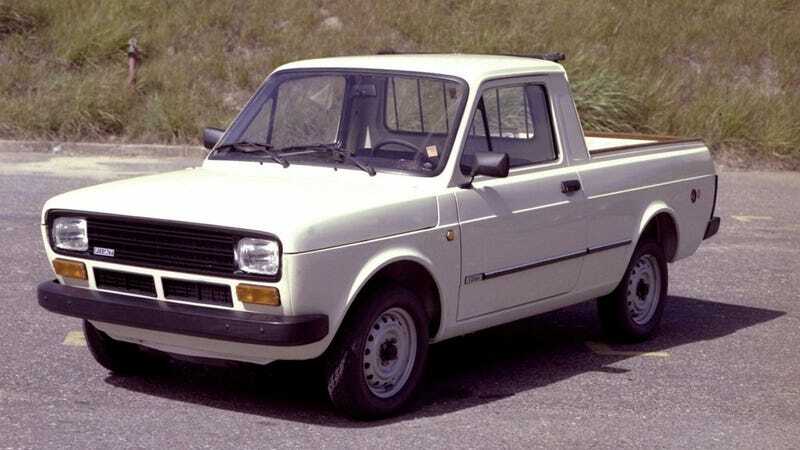 Meet the Fiat 147. Introduced in 1976, the Fiat 147 was indeed different than its father. Due to the terrible 73 octane petrol available in the country, the engine had to use a relatively low compression ratio of 7.2 to 1, so Fiat put a 1,049 cc (64.0 cu in) unit with a five-bearing crankshaft in place of the 903 cc (55.1 cu in), three-bearing engine standard in the 127 (and the A112). That resulted in more torque but Brazil soon needed another upgrade. The pure ethanol powered 147 was introduced in 1979 as a response to the 1973 and 1979 energy crises. It had even more power and although it needed about 30 percent more fuel, it was still much cheaper to run since the cost of the alcohol was a quarter of that of the gasoline. Brazilians called it the Cachaça due to its unique smell. The top of the line Racing model had a 1.3 engine. Imagine that DUI!